Arrive Delhi by TBA at TBA Hrs, assistance by our representative at the airport and transfer to the hotel. Meet and greet with garlanding at the airport. After breakfast drive to Shimla. Arrive Shimla and check in at hotel. The former summer capital of the British in India. 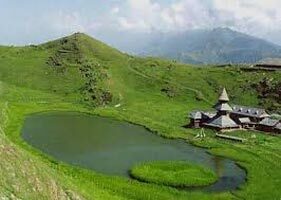 Shimla is a beautiful town sprawled amidst the pine-clad hills presents glimpses of fading colonial allure. Evening free to relax. Morning after breakfast start exploring Shimla which has some major attractions. Morning visit to Kufri and in afternoon explore The Mall Road, Jakhoo Hill, Institute of Advance Studies and Himachal State Museum. After early breakfast proceed to Manali. 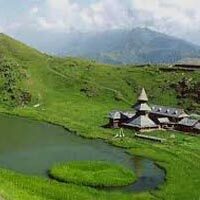 Manali is a perfect hill station covered with snow mountains and beautiful water falls. On arrival check in at hotel. In afternoon visit to Manu Temple, Hadimba Devi Temple and in evening leisure walk to Manali Mall Road. After breakfast at hotel. Full day sightseeing with transport to explore such beautiful places like Vashisht bath, Solang Nala Valley , Gulaba and Rohtang pass. Morning after breakfast drive to Dharamsala.arrive and check in at hotel. Attractive surroundings, numerous streams, cool healthy air, and the snow line makes Dharamsala a perfect holiday spot. Evening free to relax. Morning after breakfast sightseeing tour of Dharamsala including Gyuto Monastery Sidhbari, McLeod Ganj, Bhagsu Waterfall and temple, Dal Lake and Karan Lake. After breakfast transferred to airport to board the flight or proceed by cab to Delhi. Transfer to the airport to board the flight to onward journey.